Media Corp International understands that when you want to further develop relationships with your existing customers or potential prospects it’s important that you can do this in a relaxed and informal environment away from the office or an event. Dinner engagements are a great way for your business to connect with a targeted audience over an evening of light entertainment and great food in a location of your choice. Whether you are looking to promote a new product or are looking to continue to connect with your customer, a dinner engagement allows you to have direct access to key decision makers over an evening where by all attendees feel comfortable enough to share insights and open up on current challenges and problems they are facing as a business, allowing your team to build a further pipeline and generate new business opportunities. 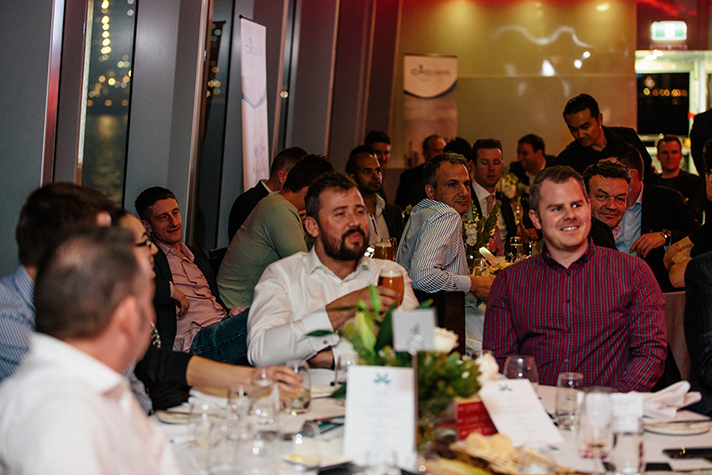 Media Corp International will collaborate closely with your organisation to invite the audience of your choice along to the dinner as well as securing the location and any other material that may be needed for the duration. Dinner engagements are exclusive to existing customers only, however if you are looking at running a series across multiple locations we would be happy to discuss further.